Pokhara Sub-Metropolitan City is the second largest city of Nepal, located at 28.25°N, 83.99°E. It is the Headquarters of Kaski District, Gandaki Zone and capital of geographical Central Nepal i.e, Western Development Region. Pokhara is one of the most popular tourist destinations in Nepal, noted for its tranquil atmosphere and the beauty of the surrounding countryside. Three out of the ten highest mountains in the world are situated within 50 miles (linear distance) of the city so that the northern skyline of the city offers a very close view of the Himalayas. Due to its proximity to the Annapurna mountain range the city is also a base for trekkers undertaking the Annapurna Circuit. 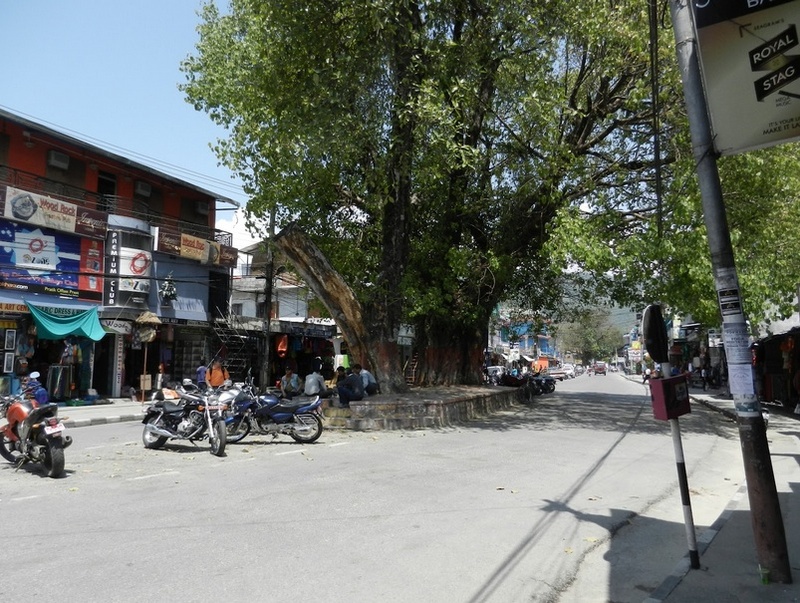 Due to rapid urbanization of the city and the adjoining areas, recently, proposals have been made to consolidate Pokhara Valley and the nearby VDC’s into the Greater Pokhara Metropolitan Area. The possible area that will include are Pokhara city, Lekhnath Municipality, Sarangkot, and nearby VDC’s with a combined population exceeding one million. Pokhara is considered the most liveable cities in Nepal in terms of quality of life. 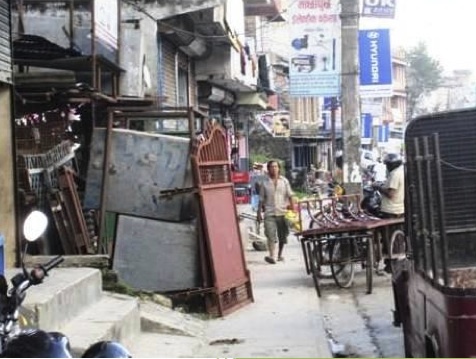 The Walkability Survey is implemented by Clean Energy Nepal and Clean Air Network Nepal in coordination with Local Initiatives for Biodiversity, Research and Development (LI BIRD). The field survey was conducted in five areas; Commercial area represented by New Road, Public Transport area represented by Prithvi Chowk, Educational area represented by Bagar, Residential area represented by Ram Bajar and Lake Side area. The commercial area, the most crowded area of the city, obtained the highest field walkability index. A low ranking index suggests better pedestrian infrastructures and services while a higher ranking suggests opposite. The observed barriers for pedestrians include vendor encroachment; unmanaged parking- parking of motorcycles in side walk and streets. Despite of having high traffic, there are very low crossing points which make it difficult and inconvenient for pedestrians in crossing roads. Also with high walking path modal conflict, the pedestrians are exposed to high risk of accidents. On the other hand footpaths are not properly managed and have very low amenities. Random movement of animals in the area also add challenges to walk at times. Among the nine variables that were evaluated, the disability infrastructures received the lowest attention of all. Nearly 91.67 percent of the total road stretches have no infrastructure at all for disabled persons. In our conduct of pedestrian preference survey from 200 respondents across all areas, it was revealed that 64 percent of commuters’ daily trips are made entirely on foot, of which 33.59 percent of this population sample walks for more than 15-30 minutes in one direction for a major trip. In this daily trips made, 55 percent of the respondents said that walking is perceived to have the highest exposure to air pollution, affecting health and visibility. Commercial area obtained the highest walkability index scores which indicates that pedestrian infrastructures and facilities are inadequate thus making it unsafe and inconvenient for people to walk. Note that this is the same area which has the highest flow of pedestrians. Commercial area has the highest number of pedestrian users and the highest walking path modal conflict. About 27 percent of the total respondents’ assessment of the existing pedestrian facilities in the city to be in bad condition while 57% said to be okay and 13% expressed it as good. About 91.67 percent of all the surveyed road stretches have no existing facilities for persons with disabilities. When asked about the top five priorities in pedestrian facilities, the infrastructures with wider, level and clean footpaths came as a top priority, followed by reduced and slow traffic on roads and removing obstacles/parking from the footpaths. The pedestrians’ preference survey showed that about 59 percent prefers ground crossings (through zebra crossing and traffic calming). And a total of 61 percent are not willing to walk more than 50 m to reach the crossings. The results showed that 45 percent are found to be captive riders while 55 percent of the respondents are choice riders. Stakeholders identified the main barriers the main barriers in improving the pedestrian facilities in the city, which are: lack of public awareness on the importance of pedestrians’ safety, inadequate polices and pedestrian friendly infrastructures and guidelines, lack of coordination among the authorities working on pedestrian issues, not sufficient budget in development plan, poor urbanization plan and weak agency implementation. District Traffic Office, Kaski: In Fiscal Year 2067/68, the number of injuries was 17 and the total number of seriously injured were 15 while the number of fatality accounts for 8.